This short par-4 seventh on the Arnold Palmer-designed Legacy course is Reunion’s signature hole. 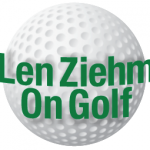 ORLANDO, FLORIDA – Want to take on a real golf challenge? Try to complete what I’m now declaring the Salamander Slam. The Salamander Golf Collection includes nine courses in Florida plus another in the company’s home base of Middleburg, Va. Sheila C. Johnson — former Chicago resident, University of Illinois alum and founder and chief executive officer for the Salamander group – has 180 holes under her jurisdiction. Play them all and you’ve completed the Salamander Slam. Playing them all – and I’m only halfway done – will also expose you to the architectural efforts of three of golf’s legendary players as well as that of the late Larry Packard, who designed four of the courses including the most famous one. 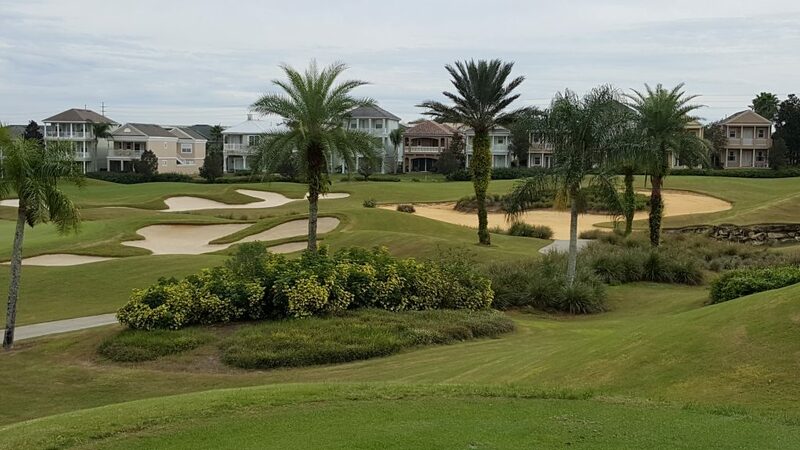 Salamander is the largest independent golf course operator in Florida, and playing all nine of its courses there won’t be easy since you can’t come in off the street at any of them. Only members and resort guests at the various locations can get on the courses, but the experience will be well worth it. Not only will you enjoy a quality golf atmosphere but you’ll also get a sampling of what Florida is all about because the courses are spread throughout the state. 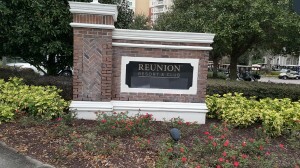 Reunion Resort is in the heart of Orlando’s large array of tourist attractions. Packard’s Copperhead course at Innisbrook is easily the best known of the Salamander courses. Arguably the best course in Florida, it has long been a PGA Tour site for what is now called the Valspar Championship. Jordan Spieth will defend his title in that event in March. Just as the courses all have their unique qualities, so do the resorts where they’re based. Other than offering great golf, there’s been only a minimal effort to make the locations similar. 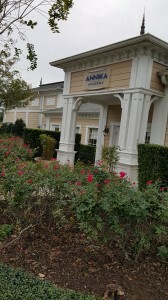 Annika Sorenstam’s unique Academy enhances Reunion’s status as a mecca for golfers. My suggestion for a starting point on a Salamander Slam would be in the middle – at Reunion, which is in Orlando on the edge of Kissimmee. Though Innisbrook has more courses (four) than Reunion (three), Reunion is the biggest property in the group. It’s built on 2,300 acres and features a 96-suite main hotel topped off by Eleven, a fine dining steakhouse on the top floor. There’s also a water park, boutique and spa, tennis, biking and walking trails and a meeting and conference facility on the premises within a few minutes of DisneyWorld and the other Orlando tourist attractions. Its place in golf is secure if for no other reason than Reunion is the only location in the world with designs by Jack Nicklaus, Arnold Palmer and Tom Watson. Those greats of the game parlayed their success as players into successful careers as architects as well. 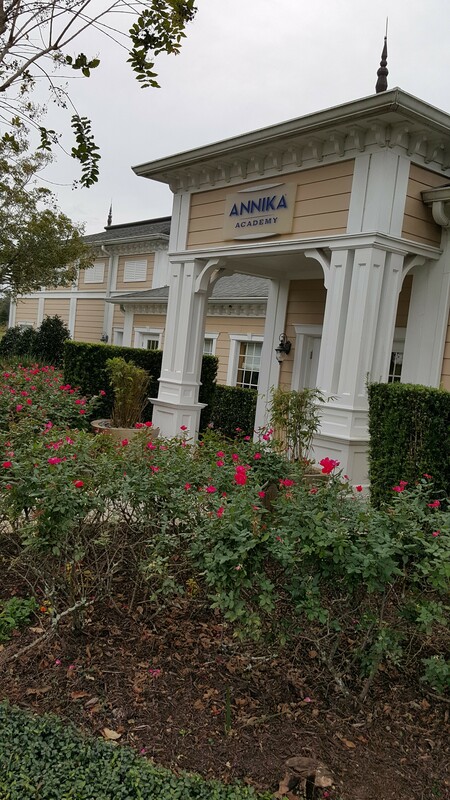 Not only that, but Reunion is also the home of the Annika Academy, a unique instruction facility organized by another legendary golfer – Annika Sorenstam. 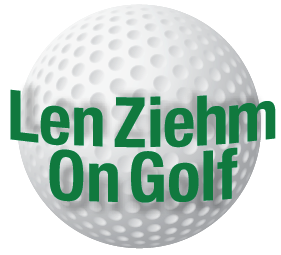 Her Academy incorporates fitness and nutrition into the golf instruction. As for the Reunion courses, Nicklaus’ The Tradition is the longest at 7,240 yards and – with its small greens, narrow fairways and water, which comes into play on nine of the holes – the most difficult as well. It’s probably the best layout there as well, though it has an interesting history. 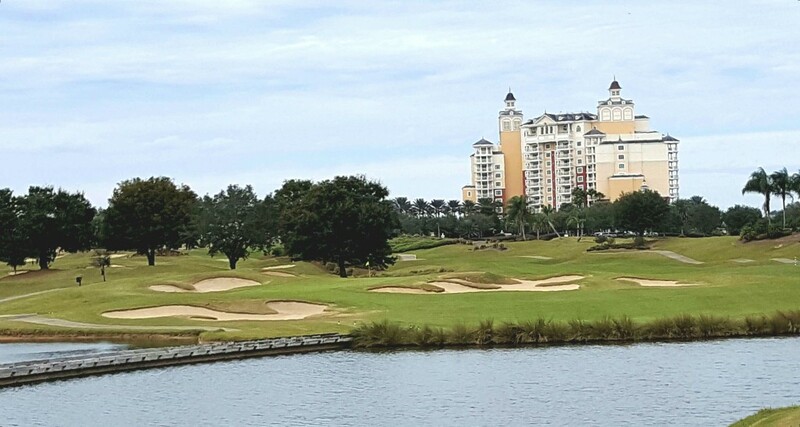 Nicklaus had to create two new holes after a property dispute surfaced, and the course has no clubhouse. A tent has served as an alternative until a clubhouse is built. Watson’s Independence course was the first Watson design in Florida. It has lots of elevation changes but no water and is probably the easiest of the three layouts. I’ve played many Palmer courses over the years, but none are as challenging as his Legacy course – at 6.916 yards the shortest of the three Reunion layouts. It’s filled with sand traps and waste bunkers and the elevation changes are not what you’d see at most Florida courses. Get through those courses and you can decide whether you want to proceed to the west — where the recently-renovated Copperhead layout is joined by the Packard-designed Island, North and South layouts – or go east and test Hammock Beach, another Nicklaus creation, or The Conservatory, which was designed by Watson. Next to Copperhead, The Conservatory is my second favorite of the Salamander courses played so far. Nicklaus also designed Creighton Farms, the Virginia course that has a connection to the nearby Salamander Resort & Spa. From the bunkers to palm trees to floral arrangements the courses at Reunion are a visual delight.